The Recording Academy's Task Force on Diversity and Inclusion is launching a new initiative to create and expand more opportunities to female music producers and engineers. 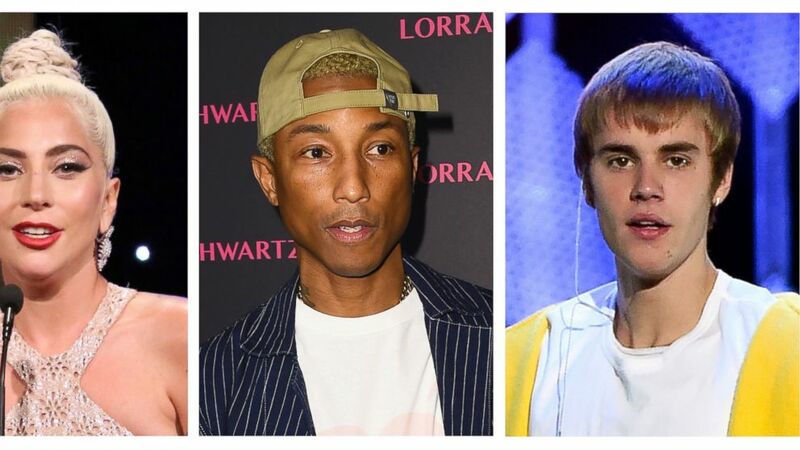 More than 200 have already pledged and are committed, including Lady Gaga, Justin Bieber, Pearl Jam, Quincy Jones, Pharrell Williams, John Legend, Ariana Grande, Common, Pink, Missy Elliott, Cardi B, Nicki Minaj and Shawn Mendes. "It's a really important step to make sure you're considering a diverse slate when you're going to pick a producer or engineer," said Tina Tchen, chair of the academy's Task Force on Diversity and Inclusion, in an interview with The Associated Press. "Pick whoever you want, because we want people to make their own artistic decisions, but we do know the more that women are included in the mix and get a look at and are seen, then doors are going to open up. "And that's what this is about — making sure all of those doors of opportunities are open to everyone and that women who for so long really haven't had their shot can get a fair shot." The initiative comes after last year's USC Annenberg study, which said only 2 percent of music producers and 3 percent of engineers in popular music are women. Others who have signed on to the new call-to-action include Jennifer Lopez, Maroon 5, Carrie Underwood, the Killers, Kacey Musgraves, Meek Mill, Usher, Katy Perry, Janelle Monae, Kelly Clarkson and Selena Gomez. Multiple music producers, record labels, management companies and agencies are also onboard. "It's not just about the artists that we know, but it's the behind-the-scenes folks who are involved: other producers and engineers, the labels, the studios, the agents, the publishers recognizing that they all have a role to play and they can all play a positive role in the change that needs to be made," said Tchen, who was the chief of staff to former first lady Michelle Obama and is a partner at Buckley LLP. The academy announced the new task force last year after Grammys CEO Neil Portnow said women need to "step up" when asked about the lack of female winners backstage at the 2018 Grammys. Only two female performers won awards during the live telecast and the Grammys were criticized for not letting singer Lorde, the only women nominated for album of the year, perform at the show. Portnow called his comments a "poor choice of words" and later announced that he would leave his post this year. An online petition posted by singer-songwriter Vanessa Carlton calling for his resignation surpassed its goal of 10,000 signatures; more than 30,000 people had signed the document. Portnow announced in May that he chose not to seek an extension on his contract, which ends this year. He has led the organization since 2002. This year's Grammys, however, include more female nominees in the top categories. Linda Perry, who said she will participate in the new initiative, also made history as the first woman nominated for non-classical producer of the year in 15 years. To help artists and others find success with the Producer & Engineer Inclusion Initiative, the academy will list working female producers and engineers on its website. The academy is also working with the organizations Women's Audio Mission and She is The Music to connect artists with female creators. Tchen said another way they're trying to move the needle is through mentorship: "We're also asking producers and engineers, both men and women, to also mentor young women."